The inaugural attendees of the OFC Education Centre have had their first taste of international football and if there’s one thing they discovered, it’s that they don’t like playing against each other. 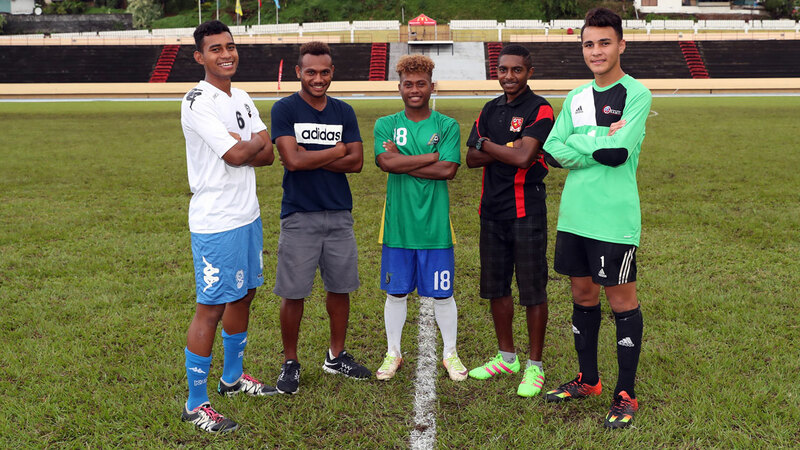 Five of the seven student-athletes have spent the past couple of weeks competing in the OFC U-17 Championship representing Samoa, Papua New Guinea, Solomon Islands, Vanuatu and Fiji. Abert Vanva, whose side Vanuatu was knocked out of contention for the semi-finals, said it’s been a great experience in Tahiti. “It’s been an eye-opener,” he said. For Mohammed Naizel, or Nigel to his friends, it has been an unforgettable trip. “I think for us the best part is meeting here and seeing each other after three months. We’re so excited to see each other. His opponent from Solomon Islands Steward Toata was probably the only one who thought it was a bit of fun to take on his friends. “It was good playing Nigel but at the same time, he did go a bit hard on me,” he laughed. Papua New Guinea and Solomon Islands still in contention for one of two berths to attend the FIFA U-17 World Cup in India later this year, and the group have nothing but encouragement for their brothers Emmanuel Simongi and Toata. “I wish them both all the best,” Vanva said. Solomon Islands will play New Caledonia in the opening semi-final at 4pm before Papua New Guinea hope to outdo New Zealand at 7pm. Both matches are scheduled to be played at Stade Mahina on 21 February (local).